People have been asking me a lot lately why I am always taking photos at parkrun and never actually running, so I thought I would explain how not being able to run has helped me fall in love with volunteering. After a successful Dublin City Marathon last year, and running parkrun through the winter, I fractured my tibia in May. It has been one tough journey since then – I am still not allowed to run. But that has not stopped me from being involved with parkrun. Before my injury I thoroughly enjoyed the run and mingling with friends afterwards over coffee. The injury came as a huge shock and I struggled to accept the reality of not being apart of the active running community anymore. 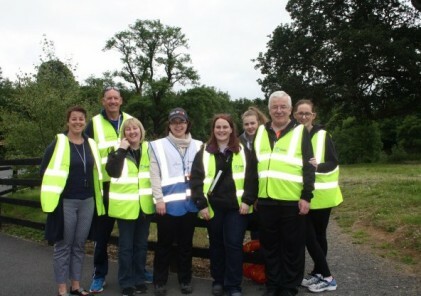 By volunteering at parkrun, I felt that I was staying actively involved. The encouragement of my parkrun friends helped me start the rehabilitation process. My favourite role is that of volunteer photographer. I love capturing expressions on participants’ faces, people receiving high-fives from little kids, and getting a lick and a wag of the tail from a dog. Sometimes people shy away from the camera absolutely convinced that I have caught their bad side but that is rarely the case. Photos, after all, provide lasting happy memories. Photographing parkruns, especially when I volunteer on consecutive Saturdays, makes me feel like I am getting to know each one of you. I see the good and bad days, the progress you are making even when you don’t think it and, most importantly, the fun that you have while parkrunning. Through the lens of my camera I am sharing your parkrun journeys. The weather can impact on lots of different volunteer roles and photography is certainly one of them. For example, for St. Anne’s parkrun’s third birthday celebration it absolutely poured with rain non-stop. Before the run we were all cowering and shivering under trees and coverings, straining to hear the deputy mayor who was trying to raise her voice above the din of the rain and make a speech. No amount of protective gear or umbrellas helped but it made for interesting pictures! As well as contributing to my local parkrun, volunteering is helping me to gain valuable experience as a photographer. Previously I mostly took landscape images, so parkrun has provided an opportunity to develop new skills. Also, putting your pictures ‘out there’ opens yourself to the public’s comments. 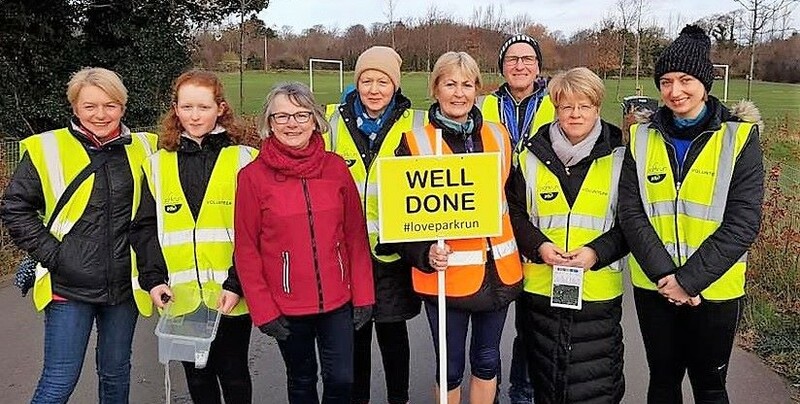 I would definitely recommend jumping right in and getting in contact with your local parkrun if you like the idea of volunteering. It’s perfectly normal to be nervous the first time, but the Run Director will explain everything you need to know and there will be plenty of other volunteers to support you. For anyone who particularly wants to learn or develop photography skills, parkrun provides excellent practice. Trust me, moving targets always make for a good challenge!